On the bright side, uneven terrain is quite appealing and adds something unique to the landscape if it is well-maintained. However, maintaining the lawn is not a walk in the park. You need the right tool for the right job, and this is where riding mowers come in. In the following review, we look at some of the best riding lawn mowers for hills to keep that uneven terrain looking fabulous. Basically, there are four main types of lawn mowers if you have a hilly terrain. The first class is a push mower. But this is for people that have a small lawn and out to do some physical exercises while at it. Riding mowers are a good option for vast and hilly patches. They are good when there are obstacles on the lawn. Lawn or garden tractors are the real workhorses. They are equipped with a capable engine to deal with the hill or any other obstacle like tall and thick grass. Then there are zero turn mowers for serious large scale mowing. The steering system is innovative making the mower turn around obstacles easily. Lawnmowers can seem such easy tools to operate. You may even pack several years of experience in lawn mowing but knowing the safety tips doesn’t hurt. They may come in handy sooner or later and may be the difference between an injury taking your limb away and a close call. The first primary safety tip when mowing is having the right shoes. There is this assumption that any outdoor chore is best done on sandals for comfort and ease of movement. Well, the footwear is a tripping risk, primarily when working on cut grass. You don’t want falling head over heels from the riding mower after sliding on grass. Sneakers offer the comfort you need, are stable and so are far much better. Riding mowers can seem fun to children, and they are. However, caution them against using the mowers as they would toys. You can carry them sometimes but always remind them riding lawn mowers are not the safest to play around with. Such things as pebbles, pieces of glass and stones can interrupt smooth mowing. They can easily damage the wheels if not careful. Make sure to collect all these from the lawn before you start mowing. Always drive forward rather than backward. Going forward ensures you have a good view and you avoid accidents. The mower may tip over falling on top of you if it trips on a rock. Also, avoid getting too close to the edge of the pond. Use a self-propelled or push mower here. It may seem unnecessary for most but wearing safety goggles significantly diminishes the risk of eye injuries in case of flying objects from the mower. Mowing can be a lot of fun but only when you have the right tool. And how do you identify the right one? Well, the following are some tips on how you can scoop a winner and make mowing a lot of fun and more comfortable. The Condition of the Engine: it sure is something having a mower with a powerful engine. But that’s not all there is. Other aspects like an efficient oil filtering system and cooling system are critical and determine the durability of the engine. Your yard: we have different yards, and so one mower may be ideal for one person and not the other. Typically, inspect your yard and determine the terrain and the barriers within. If they are several, you may need a zero-turn machine. If there are steep hills, a powerful engine to propel the mower smoothly may come in handy. There’s also remote controlled mowers which you may want to check out too. The Fuel: there is a pretty good reason why landscapers stick to diesel engine machines. They have better torque and are easier to maintain. Petrol may seem a cheaper option for those that need to keep a tight belt on their savings. However, petrol engines are more expensive in the long run. The Size of the Deck: the width of the mower deck is determined by the size of your yard. If it is expansive, then a more extensive deck would do just fine. It will take a shorter time than a narrow one. Maintenance: ideally, you should always choose an efficient engine that gets rid of waste products quickly and efficiently. There should be safety features always to keep the engine in a better condition. Some mowers come with ‘low maintenance’ as a selling point and make good choices. User friendliness: the perfect mower that will prove fun to use is user-friendly. The features and functionality of the mower make the task seem so easy and fun. No one fancies working with a machine that is complicated to use. For example, a hydrostatic transmission mower is better than a manual one. 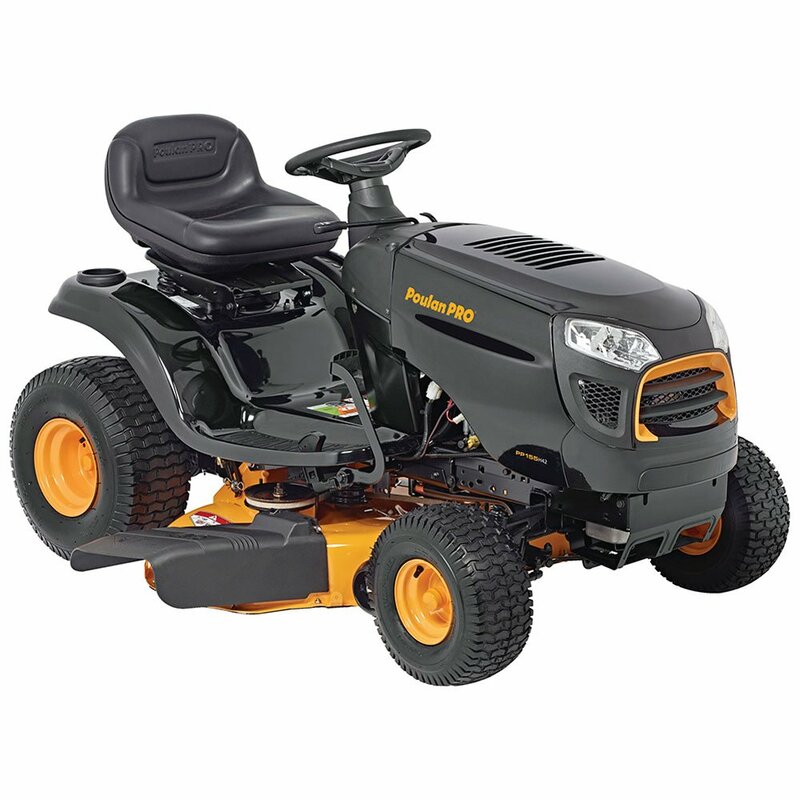 This mower comes with a 42-inch deck that draws air from above for efficient airflow and cutting of the long grass. It comes with a Hydrostatic Transmission which adjusts the speed and control, pretty easy. The 155 HP engine the mower comes in is sturdy enough for that hilly patch you have on your backyard. When you are searching for the right lawnmower for the hills, you need a machine that is not only comfortable but agile, user-friendly and efficient. 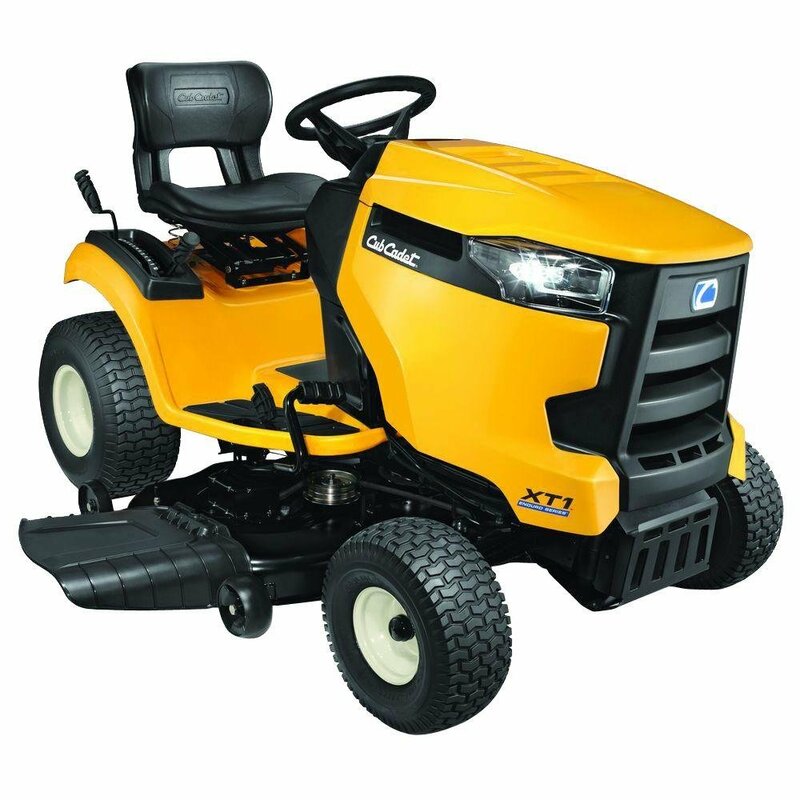 The riding lawnmower from Cub Cadet is one machine that goes over and beyond. The V- twin Kohler 22 HP engine is a source of unmatched power to navigate those hills that grace your backyard. And to make it even easier for you, the machine features a hydrostatic transmission that makes driving a breeze. It eliminates the need for shifting, and your only task is to push the gas pedal and drive. 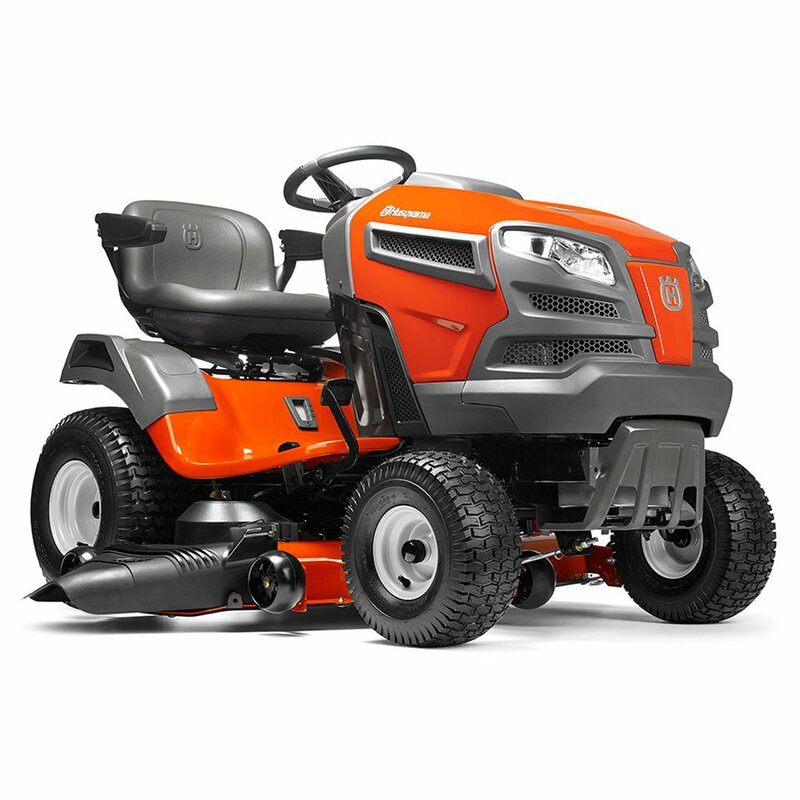 Husqvarna needs no introduction as they are an established brand in everything lawnmower and other agricultural machinery. As a matter of fact, you are not likely to go wrong choosing their products. This mower comes with a fast auto-transmission bringing the fun into the lawn mowing chore. The mower comes with some great features such as an electric clutch, choke less start and charge port for a more natural and smooth operation of the mower. This is one of the most compact riding mowers meaning that they are easier to store in the garage – they take a small space. The mower can attain a speed of 4,25 MPH, not too shabby for mowing up and downhill. It has a 6-speed transmission, so you have a choice as to the appropriate speed for you. There is a 30-inch cutting deck that comes with 5-adjustable height settings – you can easily choose the right grass length. 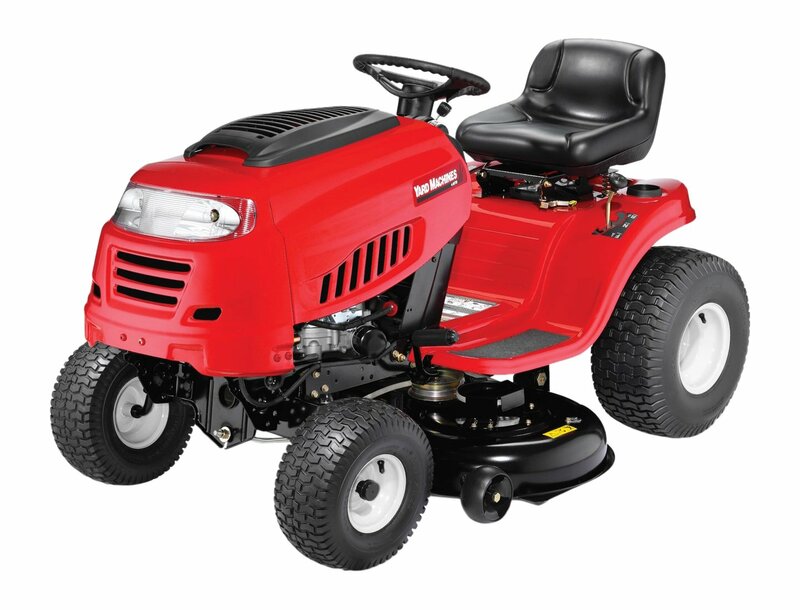 The mower comes with a powerful 420cc engine for negotiating the hilly parts of the lawn. 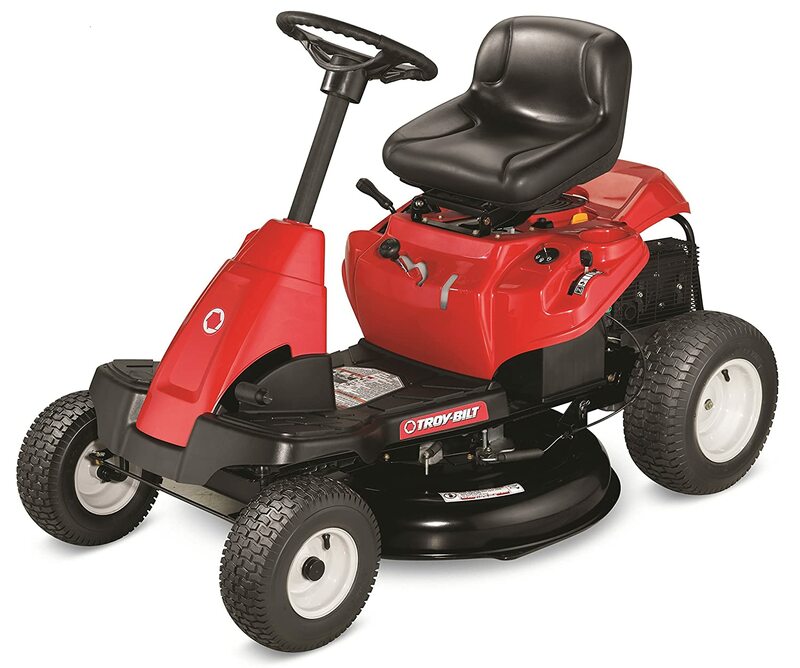 Has a 7-speed gear with enough power for the mowing task ahead of you. And to ensure it cuts a more significant surface area, the mower flaunts a 42-inch blade – quite something. There is some good in having hilly terrain lawns. However, the real challenge comes in lawn maintenance. Mowing up and downhill requires a machine with the necessary power to handle it. The best lawn mower for hills is easier to use, has a powerful engine and is easier to maintain. The listed riding mowers would make a decent choice, but the best among them is the Cub Cadet XT1 46” V-Twin Hydrostatic Riding Mower. What makes the mower a top of the range machine is its powerful engine, user-friendliness, and 16-inch radius for easier turning around obstacles. Simply the riding lawnmower is the right machine for you.